The Louisiana Primary Care Accountable Care Organization, LLC (LPCACO) was founded by 22 Federally Qualified Health Centers and the Louisiana Primary Care Association in order to enter the Medicare Shared Savings Program (MSSP) for the 2017 program year. LPCACO was selected as one of 99 new Shared Savings Program ACOs, providing Medicare beneficiaries with access to high-quality, coordinated care across the United States. Beginning January 1, 2017, a total of 480 Shared Savings Program ACOs are serving over 9 million assigned beneficiaries. Doctors, hospitals, and health care providers establish ACOs to work together to provide higher-quality coordinated care to their patients, while helping to slow the growth of health care costs. LPCACO is one of 480 ACOs participating in the Shared Savings Program, as of January 1, 2017. 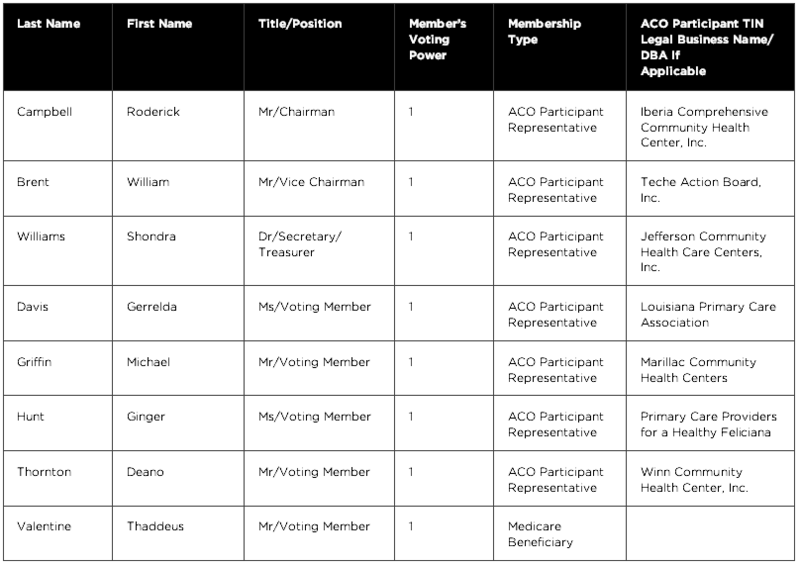 Beneficiaries seeing health care providers in ACOs always have the freedom to choose doctors inside or outside of the ACO. ACOs have the opportunity to receive a portion of the Medicare savings generated from lowering the growth in health care costs as long as they also meet standards for high quality care. Since ACOs first began participating in the Shared Savings Program in early 2012, thousands of health care providers have signed on to participate in the program, working together to provide better care to Medicare beneficiaries. For the Shared Savings Program Fact Sheet and a list of the new and renewing ACOs announced, visit the Shared Savings Program News and Updates webpage. Please note, the ACO-40 Depression Remission at 12 months quality measure is not included in public reporting due to low samples and the ACO-36 All-Cause Unplanned Admissions for Patients with Disabilities quality measure is not included in public reporting due to a non-material technical error. 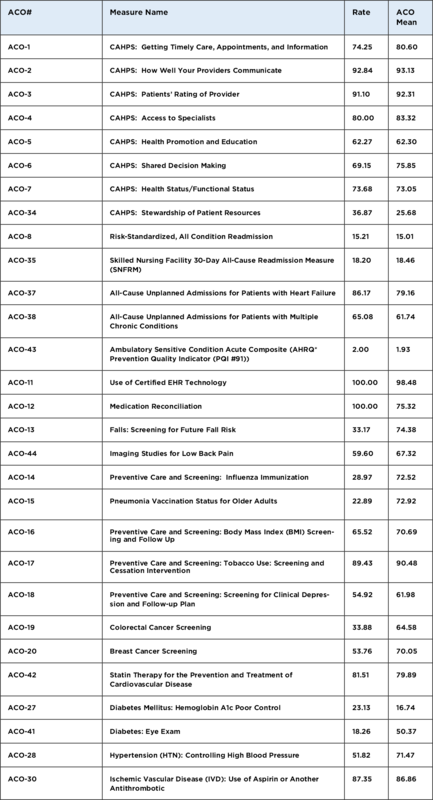 Note: In the Quality Performance Results file(s) above, search for "Louisiana Primary Care Accountable Care Organization, LLC" to view the quality performance results. This ACO can also be found by using the ACO ID A77005 in the public use files on data.cms.gov. For general questions or additional information about Accountable Care Organizations, please visit www.cms.gov and do a search using that term, or call 1-800 MEDICARE (1-800-633-4227). TTY users should call 1-877-486-2048.